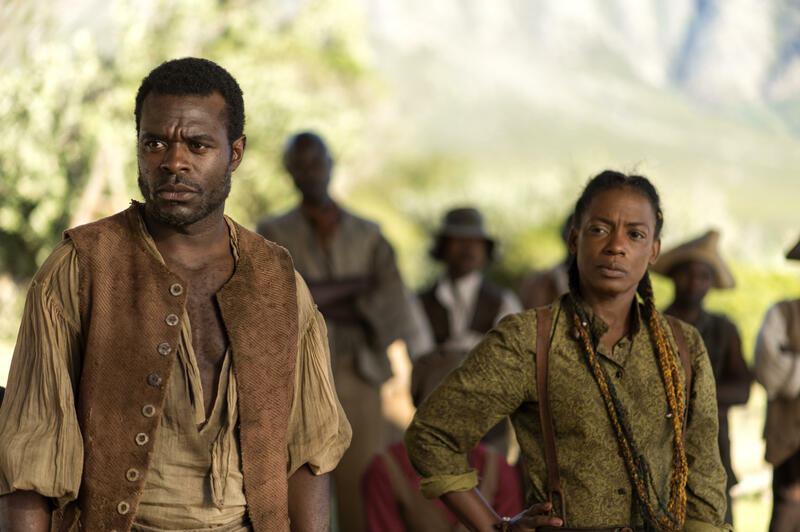 The journey of a strong-willed, resilient former slave who has to overcome several sizable challenges to gain her freedom is documented in the epic BET mini-series, The Book of Negroes. Coming on the heels of the Oscar-winning film, 12 Years A Slave, as well as the British period piece, Belle, The Book of Negroes also introduces audiences to another little-known historical occurrence, the liberation of former slaves by the British government in 1783. The names of 3,000 slaves that were evacuated to Nova Scotia, in lieu of being sold back into slavery, were recorded as a part of this historical document. The mini-series based on Canadian author Lawrence Hill’s award-winning book, also known as Somebody Knows My Name, centers on Aminata Diallo (the brilliant Aunjunae Ellis) who is abducted in 1750 after watching both of her parents being killed by her captors. As she is being marched to the shore to board the “big canoe” which will take her to lands unknown, she is befriended by one of the young Africans working with the slavers, Chekura (Lyriq Bent). During the most demeaning period of her young life, his kindness to her would not be forgotten. Trained by her mother as a mid-wife, the young Aminata gains the reputation as a “baby catcher” and soon gains favor with her captors during her horrific trek through the Middle Passage. Chekura also joins her as she witnesses the sight of many people from her homeland, bound and chained, which proves to be a life-altering experience for her. According to an African proverb, “you are not dead as long as someone remembers your name,” and Aminata acknowledges all of her fellow captives in a powerful example of that creed. Soon she arrives on American soil, where she is branded like an animal and sold into servitude to the lecherous Mr. Appleby (Greg Bryk), who has another agenda in mind for his chattel. Salvation for Aminata comes at the hands of house servant, Georgia (Sandra Caldwell) who schools her in the way of survival and serving as her “wing” slave helping to keep Appleby at bay. Further complicating matters is the return of Chekura, who was sold to another plantation but has relocated his early love. His presence infuriates Appleby, who takes great pleasure humiliating Aminata in an attempt to keep her mentally enslaved. As one of the few slaves with the ability to both read and write, Aminata catches the eyes of a Jewish man, Soloman Lindell (Allan Hawco), who purchases her from Appleby to be his assistant. The price comes with a dark secret that will haunt Aminata for the rest of her life. With their relationship strained, Lindell and Aminata travel to New York just as the increased tension of the Revolutionary War is at its apex. Befriended by a benevolent tavern owner, “Black” Sam Fraunces (Cuba Gooding, Jr.), Aminata discovers a path to freedom uses the backdrop of the conflict of the war as cover for her escape. 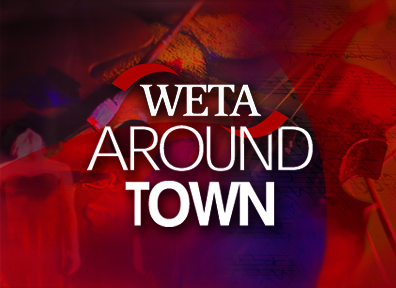 She is reunited once again with her beloved, Chekura living with other freed slaves in Canvas Town but as soon as she finds any semblance of happiness, trouble is not too far from Aminata’s doorstep. Despite the sizable opposition that she encounters, Aminata continues to persevere using her intelligence, skill and god-given ability that endears her to some and infuriates those who see her less than a person. She overcomes personal loss, overaggressive and disrespectful masters and being separated from her husband as she dreams about returning back to her village in Africa one more time. BET’s first mini-series is a pretty good one anchored by a strong performance by two-time Black Reel Award nominee Ellis. She embodies a tender vulnerability mixed with a strong, courageous spirit that strikes the perfect tone for a character that will suffer several major challenges throughout her life. Ellis has a fire burning in her character’s soul that never distinguishes and it is that quality that keeps her, and the story, interesting. 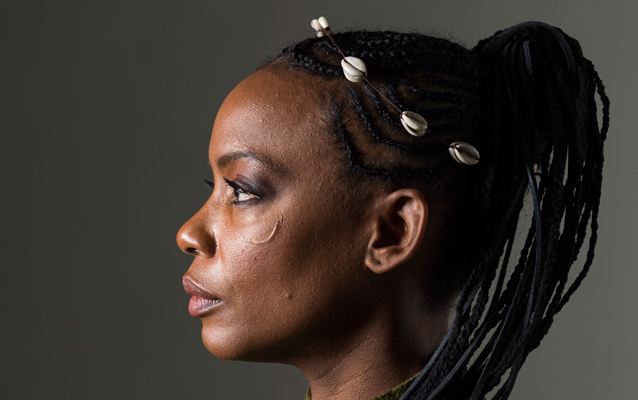 The Book of Negroes largely succeeds because of the fierce determination and absolute resilience of its star and the fact-based screenplay, written by co-written by the Hill and director Clement Virgo. To assist with telling key parts of the story, Virgo wisely relies on two Oscar winners, Louis Gossett, Jr. and Gooding, Jr. The two, along with Bent, provide much-needed support to the project and elevate it from a television movie of the week to a “event” film. 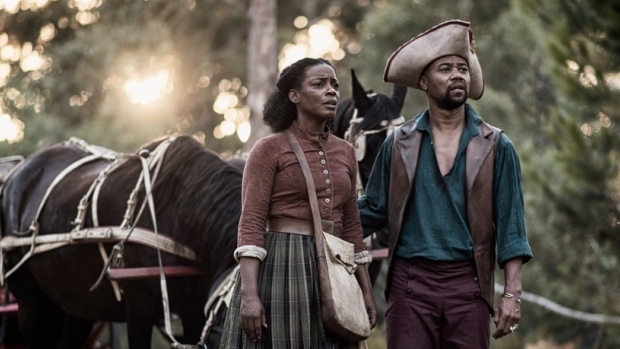 Although not quite as forceful or strong as Alex Haley’s Roots or 12 Years a Slave, The Book of Negroes is a solid, well-told story that probably would have benefited from several more hours to fully flesh out such an amazing story. While audiences have become desensitized to stories about slavery and captivity, this is an excellent addition to the cinematic canon of stories documenting the experience of enslaved Africans in America who never forgot their roots.